I have a cold. No energy to made homemade chicken soup. So, what to do? I heated up some Progresso chicken noodle soup, but that's so boring. Why not add a couple of pinches of Herbes de Provence I bought in France? Sure! And some fresh garlic slivers? Yes! And a poached egg? Of course! I feel better already! Sardines I brought home from France. In tomato and oil. With crackers. And Yuengling lager. The airwaves in the United States are crammed with news about the World Cup. 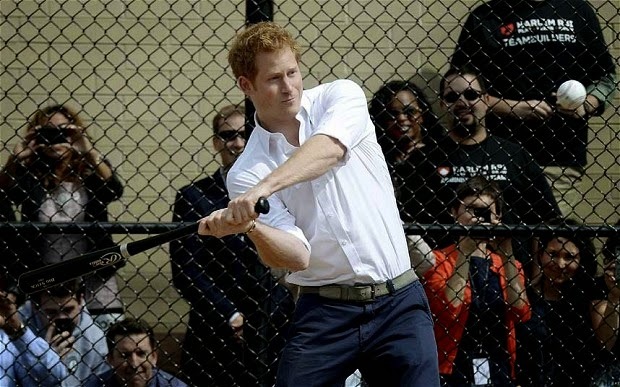 To balance things out, here's Prince Harry of Wales playing baseball. A friend is home recovering from stomach problems, so I cooked her a batch of easy-to-digest chicken & rice soup. This is only half of it; and she can thin it with chicken broth if she wants to. 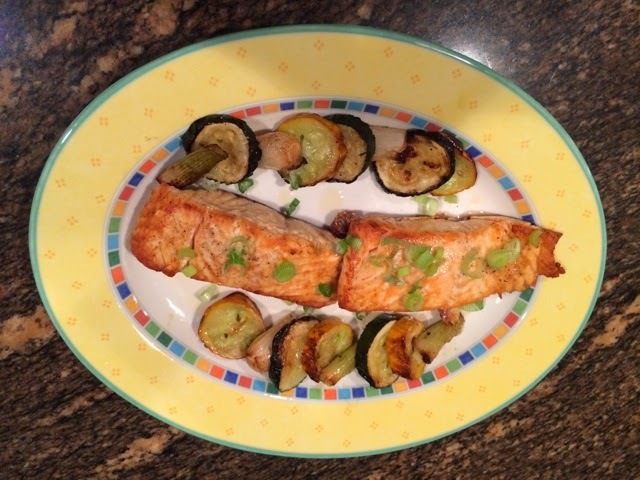 Tonight, olive-crusted roasted salmon. Sautéed cremini mushrooms. Sardines from France in lemony olive oil with mixed olives; side of roasted thyme radishes. Last night, I roasted a couple of salmon fillets in the oven. Very simple. Just salmon, salt, pepper, olive oil, and heat. With it, I roasted a brochette of onions and two colors of summer squash. 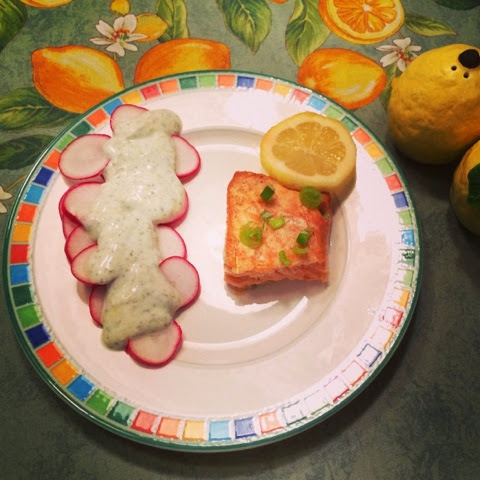 Today, I had leftover roast salmon served chilled. Still delicious! We finished the squash and onions last night, so, for a side, I sliced radishes and topped them with a yogurt/za'atar/lemon sauce.